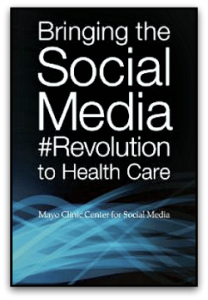 Patients seem to be highlighting the value of social media for physicians and providers. Every day patients bring in printouts from Internet sites and ask me what I think. What if I tell you that patients can learn about you and about how you care for them, even before meeting you? How? The answer is blogging. Physicians can get a lot of mileage out of blogging in the areas of marketing, patient education, and commentary. Marketing: Lots of newspaper ads announced my arrival to the community when I started working in my small town of Salem, Ohio in 2001. I also delivered lots of talks at local community organizations to achieve more name and face recognition. In today’s world, new physicians are writing blog posts and using other social media platforms (which are more cost effective, i.e., free) to introduce themselves to the community. I can tell you that in the past year, I’ve had more and more new patients tell me that I was selected because they enjoyed my social media presence. Patients enjoy the TV interviews that I post on my Web site. In addition, patients state that they enjoy the informational blog posts on medical topics like flu shots and chronic disease care. Patient education: When it comes to clinical care, colleagues tell me all the time, “Ten to fifteen times a day, I tell patients why I don’t think they need an antibiotic.” Do you have clinical tips or topics that you frequently discuss during your workday? For example, do you spend too much time dispelling myths perpetuated on television or on less-than-reputable Internet sites? What if you wrote a blog post about that topic, including evidence-based information, and then directed patients to it? What if you recorded a You-Tube video about a clinical topic that patients could watch on a smart-phone while waiting for you in the exam room? Mayo Clinic does this very well. Commentary: Kevin Pho, M.D., is the leading voice in physician blogging. He began his blog in 2004, not to become famous but because his patients asked him to respond to medical hot topics. For him, it was easier to place his thoughts about important issues in a blog post and refer patients to it so he could more easily focus on the patient care visit while getting his point of view across to the community. I blog at my Web site, Family Medicine Rocks, to write about advocacy issues, especially those involving family medicine and health policy. For example, I wrote a blog post when there was another threat for Medicare physician payment cuts. The response was overwhelming. Visits to my blog tripled for two days as this post was retweeted and posted on other sites. Not only have blogging and other social media tools given me opportunities to share my point of view with a larger audience, but they have also made it possible to become an opinion leader in my specialty relative to advocacy. What are you passionate about? What are things you say each and every day to patients, to families, and to colleagues? I bet you have some thoughts about how we can make this broken health care system better. I challenge you to write down all those ideas right now. This is your first step in the blogging process. Let's face it. Blogs will always have a prominent role in the social media tool kit for health care professionals. Some have declared blogs dead in the age of short-form communication platforms like Twitter, but that's plain wrong. Want to build a healthcare audience on social media? Choose your target audience and aim the content to the right level.